Email marketing has been through a transition over the last five years, adapting to the arrival of social media and maturing to be a key channel for marketers. While many more organizations are embracing social media marketing, email still remains one of the most effective tools for ecommerce and subscriber engagement. 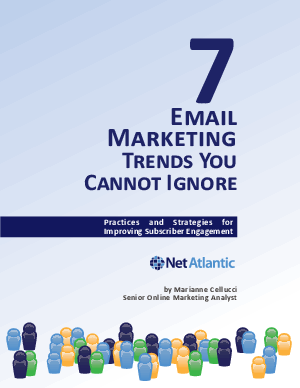 This white paper delves into seven trends that will help marketers generate actionable results for their companies using email, including raising engagement, making your content matter, motivating your subscribers to respond, automating your strategy, integrating social, targeting the powerful, and embracing mobile.